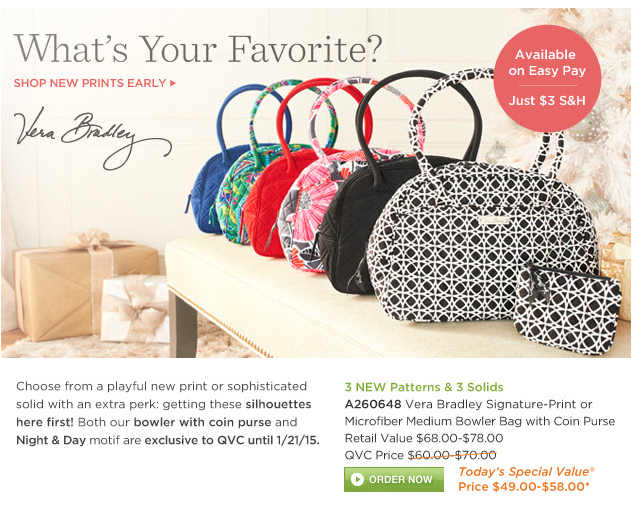 Vera Bradley will in on QVC tomorrow and their new Medium Bowler Bag with Coin Purse is going to be the Today's Special Value. It will be in the new prints Cheery Blossoms and Emerald Paisley along with microfiber colors. And remember if you are ordering online tomorrow from QVC or Vera Bradley you can get cash back when you shop through Ebates!